Get Ready To Jump into Action With Spiderman Bounce House and Friends! 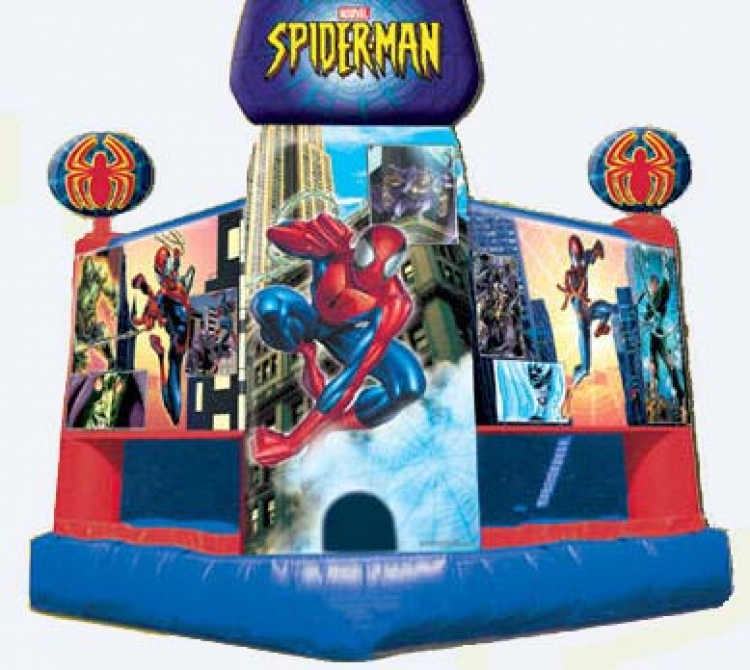 The Spiderman Clubhouse Bounce House is sure to amaze and thrill your little Superhero and all his Superhero pals all you favorite villains right on this great unit. Take advantage of this large unit. This is the tallest unit inside and measures 17ft tall inside. This Spiderman Bounce House unit is not available in other companies but here at our company we managed to hold tight to this one.